Watching the drama unfold through the seasons can be as much emotionally draining as spiritually uplifting. 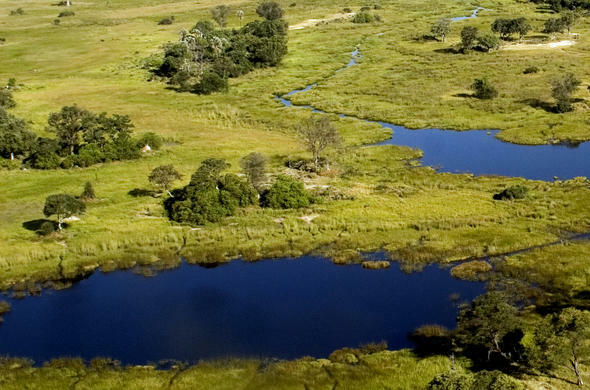 In the Okavango delta a phenomenon occurs that happens nowhere else on earth. The main flood waters arrive at the height of the dry season, six months after the last rains have fallen in the area. The local rains have a limited affect on the water level as a period of rapid drying up has occurred by the time of the rain. The winter chill gives way to dust choking heat as the water recedes, shrinking the vast floodplains to pools, trapping fish and other creatures that in turn provide food for birds and mammals alike. But from elsewhere are signs of hope. Slowly at first but with increasing intensity the clouds build until, on a day, from a distant thunderstorm the scent of the first rains is carried on the evening breeze, a scent that opens the senses to the beauty of life and survival. Senses mingle with the touch of the evening chill and the smell of wood fires. When the rains come there will be a period of respite from the dust and heat and the fish trapped in the pools will have a lifeline. There will be new season growth and a momentary calm will prevail. But the drying up will resume, and continue until the floodwaters arrive. It cannot be said with certainty what path the water will take as the flow changes from year to year due to earth shifts and channel blockages. The earth beneath the Kalahari sands is unstable causing small shifts that result in closing or opening channels. 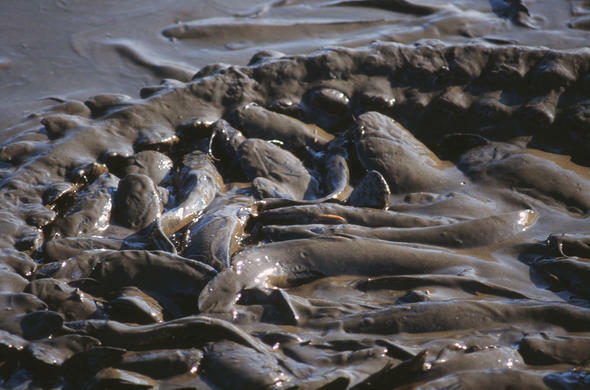 Blockages occur from hippo and termite activity. 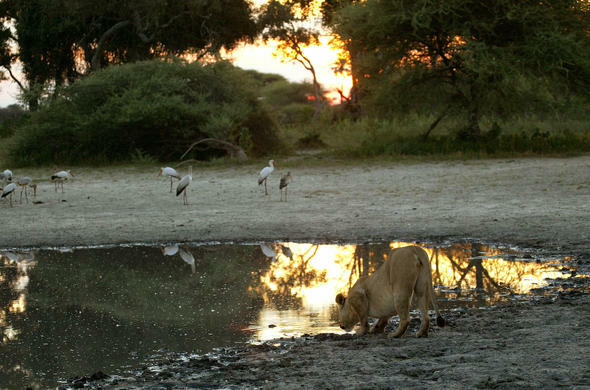 The level of the water depends on the amount of rain in the highlands of Angola thousands of miles away. The level varies considerably from year to year. Finding its way through myriad paths the water pushes slowly through the channels before oozing onto the floodplains, settling the dust and saturating the earth. In tow are the birds gorging themselves on the fish and crustaceans in the shallows. Evaporation and the desert sands take their toll on the water.The herds return from the drying hinterland, seeking out disbanded territories, and a fragile calm returns to the area. Watching the drama unfold through the seasons can be as much emotionally draining as spiritually uplifting. Fire is an important part of the natural cycle of the Okavango Delta and when the season has opened the grasslands and the smoke begins to settle the effect is dramatic.